I am ‘an artist with a curatorial practice’, who trained at MMU (Manchester Metropolitan University) and then took postgraduate studies at the John Logie Baird Centre for Cultural Studies at Glasgow University. A resident of London, I commute to Gothenburg, Sweden where I am Programme Leader of the MFA: Fine Art and Research Representative: Fine Art at the Valand Academy, University of Gothenburg. A member of the working group for PARSE Journal and Conference (Platform for Artistic Research Sweden), with Suhail Malik and Andrea Philips, I will co-edit an edition of the PARSE journal on ‘Value’ for 2015. Funded by the Swedish Research council, in 2013, I edited the first illustrated anthology to be published (Art and Theory, Stockholm) on the interdependencies of Trust and Dialogue in the work of Esther Shalev-Gerz. Esther Shalev-Gerz: The Contemporary Art of Trusting Uncertainties and Unfolding Dialogues included commissioned writing by: Stefanie Baumann, Jason E. Bowman, George Didi-Huberman, Lisa Le Feuvre, Andrea Phillips, Jacques Rancière, Jacqueline Rose, Esther Shalev-Gerz, Annika Wik and James E. Young. I am currently affiliated as researcher to the EU funded NEARCH project examining intersections between contemporary art, communities and archaeology in partnership with 13 organisations in ten countries, including the Jan van Eyck Akademie, Oxford University and Paris X University. I have long advocated for an expanded notion and understanding of artistic practice, which includes the making of art, but is not to be defined solely by the visibility of an artwork as the definitive result of artistic labour. I advocate for a more intimate awareness of the notion of practice in order to increase knowledge of what artists ‘do’ and what affects they produce, beyond metricisation. I continue to conduct research on the notion of practice within artist-led cultures, which is influenced by the six-year long initiative Midwest, (2003-2008), funded by Arts Council England, in order to develop an artist-led infrastructure from the West Midlands, UK. Midwest was centred on the artist as a catalyst for change in the conditions of production and dissemination developing tools, resources and skills for artist to lead on the change of situation and circumstance. In October 2014, in my role at Valand Academy, I was awarded 3.75 million Swedish Crowns (409, 921 Euro) in order to conduct a three-year long research project entitled Stretched into the expanded notions of artistic practice generated within and for artist-led cultures, from the perspective of the artist-curator. This research will begin in 2015. Abstract : Valuing the Artist-Led: Do We Still Want to Lead, Run, Centralise and Initiate? In this presentation, Jason E. Bowman will seek to provoke whether, within the current status of ‘the artist-led’, we are encountering a de-imagining (Giroux) or amnesia of its instigative circumstances as alternative to the mainstream (Ault). He will consider how the dark matter (Sholette) of artistic practices is being disavowed by the neoliberal era and if the Y in D.I.Y. has truly come to a crisis point by being considered as self-serving (Relyea). Through examination of various endeavours to think through alternatives to, re-interpretations of, or disavowals of metricisation and measurement, Jason will seek to question if the originating values of the artist-led are able to be recuperated when we sustain rhetorics such as leading, centering, running and initiating as key indicators. He will propose that if we begin to think through how practice is stretched and assembled within artist-led cultures, whether new ways of describing its value by recuperating or re-framing its values may become possible. He doesn’t know what the impact of that may yet be and whether it will support survival or become a noose. He wants to discuss that with You. Valerie Connor is an independent curator and adviser in the visual arts. Working on publications with Fingal County Council Arts Office, Askeaton Contemporary Arts, Limerick and 126©Kerry Guinan & Adapt, Galway. She is a contributor to the fifth volume of the Royal Irish Academy’s Art and Architecture of Ireland co-published with Yale University Press. Recent curatorial projects include a group of touring art and design commissions for the National Women’s Council of Ireland, the Tulca Festival of Visual Art, and a co-production project with Black Church Print Studio. 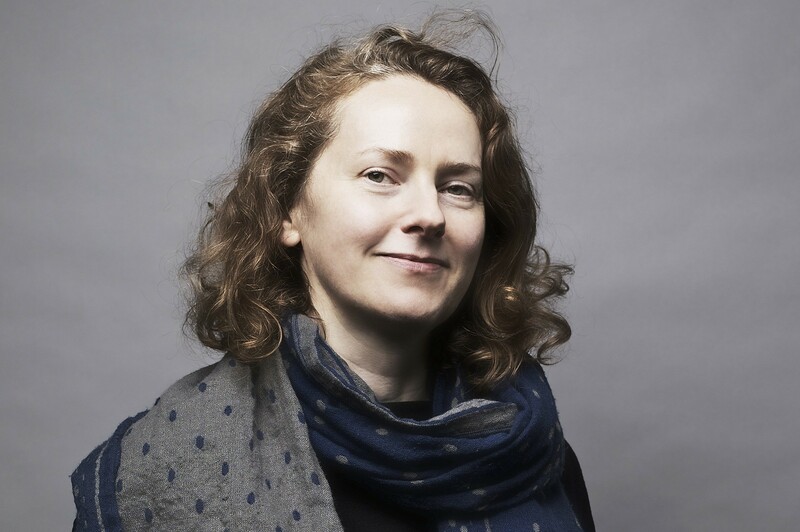 Previously, she was Visual Arts Adviser to the Arts Council/An Chomhairle Ealaíon, a board member of the Irish Museum of Modern Art, Commissioner/Curator for Ireland’s participation at the Venice and São Paulo art biennials and Visual Arts Director at Project Arts Centre. 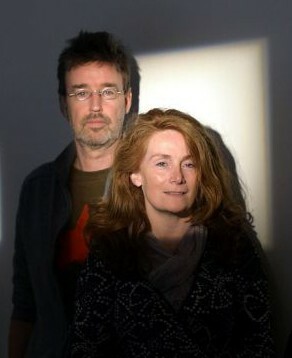 She lectures at the Dublin Institute of Technology in Photography. She is a member of the advisory panel of the National Irish Visual Arts Library and Chairperson of the National Campaign for the Arts. I’ll be outlining the emergence of the National Campaign for the Arts; and asking Who Watches the Watchmen? The effects of the economic crises in Ireland are flattening and the ideology of austerity is in the ascendant. The kind of horizontal organisations generally favoured by not for profit artist led initiatives are perceived as weak within sacrificial economies that favour hierarchical power. Under all kinds of pressure such groups, communities, organisations, become home to acts of lateral violence, a situation produced when the powers that be are perceived to be above and beyond influence. Well, hold on: is this written in the stars or has a new alignment of artists being taking place for some time now – we just can’t really see it yet? I’m going to take an anti-clockwise look at how time became organised across our art lives and art worlds. To think about how the particular values artists attribute to time and the organisation of their own labour and that of the ‘viewer-producer’, the participant. Recall artists’ role in constructing alternative temporalities – their open revolt against the rationalization and control of time by others, by industry, by claiming time as their own; from the esoteric ‘studio time’ to the mythical ‘process’. I suspect there is red thread here. If we pull, it takes us through a politics of labour and artists’ competition for control over the tools of reproduction and representation. Let’s look at the increasingly polarisation the terms ‘work’ and ‘job’, see if it helps to look to the voluntary and third sector, and examine how political discourse expresses and communicates on the question of the value of artists in and to society. In the end, do artists aspire to more than playing the non-speaking parts in the unfolding drama of our modern sacrificial economy? Watch the Skies. 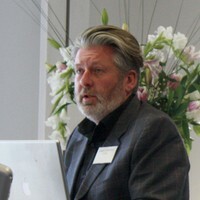 Mikael Löfgren is a writer and activist, cultural critic and lecturer. He has previously worked as editor at the daily Dagens Nyheter, the cultural magazine Ord & Bild, and at Swedish Television. He is the author of Inga undantag (No Exceptions) – a new report produced by Klister, a nationwide network for small and medium-sized contemporary art centers in Sweden. 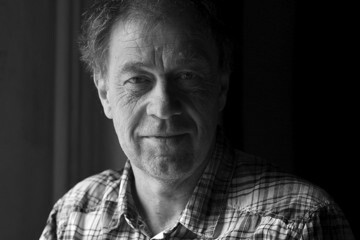 Löfgren has also worked as university teacher in Cultural Studies and as dramaturge at Unga Klara theatre, Stockholm. He has published books on various topics: postmodernism, football, Ship to Gaza, the labour market, the global justice movement, digitisation and copyright. He lives on an island outside Gothenburg. Mikael will present and discuss No Exceptions (Inga undantag), a new report about the conditions and challenges of small and medium-sized contemporary art centers in Sweden produced by the Klister network of 20 contemporary visual art organisations in Sweden. The organisations are spread all over Sweden, and organised in different ways. Some are run by the local authority, others by a foundation, and yet others are independent. They are all small or middle sized. The No Exceptions report investigates their resources and challenges, their ways of work and functioning. Inspired by the work of Pier Luigi Sacco (system wide cultural districts), Sara Thelwall (deferred value) and Mark Moore (public value), No Exceptions tries to develop a coherent view on, and in the longer run also evaluate, the manifold creation of value that takes place in small contemporary art halls. Löfgren argues that the demand for measurability and immediate numbers that characterizes contemporary cultural discourse is not suitable for evaluating the work of smaller art institutions. Löfgren also argues that what primarily characterizes the work of these art centers is their ability to establish effective networks locally, regionally, nationally and globally, and that networking is not just a geographical phenomenon. The art centers connected to the network of Klister act as links between the public and cultural life, between education and research, and between the personal and the political. Members of Klister : Alingsås konsthall, Bildmuseet i Umeå, Borås Museum of Modern Art, Botkyrka Konsthall, Gävle Konstcentrum, Göteborgs konsthall, Kalmar konstmuseum, Konsthall C in Hökarängen, Konsthallen Bohusläns museum, Konsthallen i Haninge kulturhus, Kulturens Hus in Luleå, Lunds konsthall, MAN-Museum Anna Nordlander in Skellefteå, Marabouparken konsthall in Sundbyberg, Röda sten konsthall in Göteborg, Signal in Malmö, Skövde kulturhus, Tensta konsthall and Örebro konsthall. Co-founded in 2007 by artist Dr. Ailbhe Murphy and independent researcher Dr. Ciaran Smyth, Vagabond Reviews is an interdisciplinary platform combining socially engaged art and research practice. We are interested in the potential of interdisciplinary arts and research practice as a rich context for learning between academic and art spaces and beyond both those institutional contexts in order to engage broader publics in alternative forms of cultural participation and knowledge production. Current projects include Scientia Civitatis: Missing Titles for the exhibition Phoenix Rising, Art and the Civic Imagination at the Hugh Lane Gallery curated by Logan Sisley and the Arcade Project, which explores arts-based pedagogy in youth work with the Rialto Youth Project, Dublin 8. Other projects include (In)Visible Labour Factorium for the National Women’s Council of Ireland’s Legacy Project, curated by Valerie Connor. The Legacy project exhibition ‘Still, We Work’ was exhibited at the Gallery of Photography and 126 Gallery, Galway as part of the Tulca Visual Arts Festival in November in 2013 and in Cork City Hall and EU House Dublin in 2014. Also the Sliabh Bán Art House (2011-2012) a participatory public art project commissioned by Galway City Council’s Arts Office and developed in collaboration with the Sliabh Bán Resident’s Association and City and (Re)Searches Experiences of Being Public (2012-2013) an interdisciplinary arts-based research initiative which engaged with questions of community-based culture. Extending over four cities in Ireland, Lithuania and the Netherlands, City (Re)Searches was produced by Blue Drum, Community Arts Partnership Belfast and the Kaunas Biennial.